Andrei Svechnikov scored 3:15 into overtime as the Carolina Hurricanes defeated the visiting Montreal Canadiens 2-1 for another late-game success Sunday night at Raleigh, N.C.
Montreal appeared to be in good shape for a long stretch in a matchup between two teams in contention for spots in the Eastern Conference playoffs. Trevor van Riemsdyk scored the tying goal in the third period for Carolina, which won four of five games during a homestand. 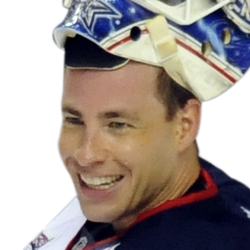 Hurricanes goalie Curtis McElhinney stopped 28 shots. 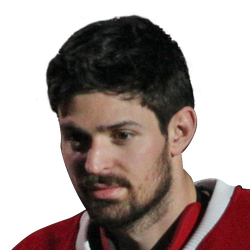 Montreal goalie Carey Price made 38 saves. Paul Byron scored in the opening period for Montreal, and it appeared that the goal might stand up. The Hurricanes were coming off a 5-1 victory against the Minnesota Wild a night earlier, but their finishing touches dried up against Price. Still, Carolina improved to 12-3-1 in games on the back end of a back-to-back. Byron scored with 5:02 to play in the first period. That marked the continuation of what was a seven-goal outburst a night earlier against the Buffalo Sabres. From there, though, it was a duel at times between Price and McElhinney, as frustration mounted at the offensive end for both teams. The Hurricanes didn't score despite a 21-shot first period. Then they put only four shots on goal in the second period. Carolina pulled even with 5:39 remaining regulation on van Riemsdyk's third goal of the season. His shot came from just inside the blue line along the boards on the right side, with the puck seeming to dance through traffic and all the way past Price. It was the second time during the five-game homestand that Carolina tied a game with a goal late in regulation. The Hurricanes ended with 14 third-period shots. Carolina was thwarted on all three power-play opportunities.